House hunting can be tricky when you have kids. Children are usually very excited when they enter a new home knowing they may soon live in it. It’s not unusual for kids to run and play during a home viewing, making it difficult for parents to watch their kids and view a home. On the other hands, some kids are upset at the prospect of moving. They love their current living situation and parents must be sensitive to their thoughts and feelings. All of which can make the home buying process a bit overwhelming. But it doesn’t have to be complicated. 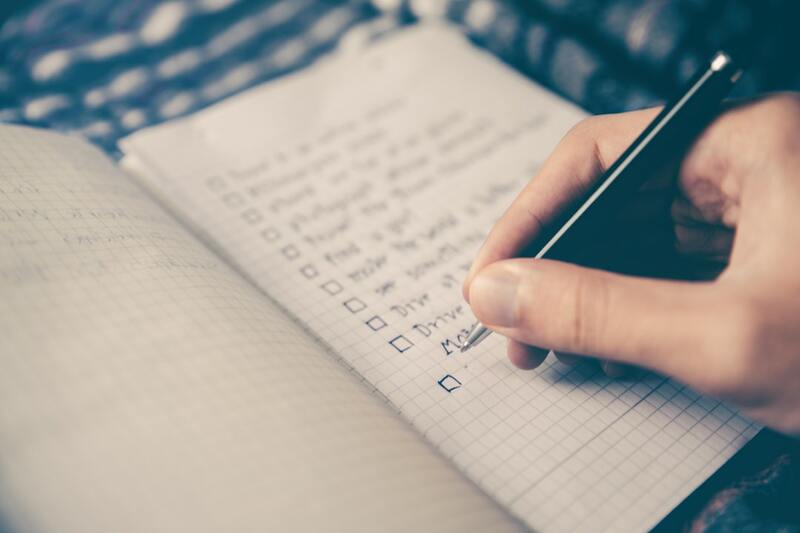 Continue reading, as we’ve created this home buying checklist, with your kids in mind, to help you get through the process a little easier. Realtors suggest leaving kids age nine and under at home with a babysitter or with family. Younger children are often more difficult to manage and distract parents from a home viewing. Afterward, many parents have trouble remembering important details about the homes they see. Remember, you want to have productive meetings when you see a house so you can make an informed decision about purchasing it. Older kids are more mature and are fine to bring to home viewings. They can even be very helpful and point out features and concerns you may miss. If you must bring your younger children, it’s advised to pick and choose which homes you bring them too. For example, you may not want to bring them to view a home still being lived in. They may open a door and be surprised to see a large dog on the other side. Conversely, they will generally be safe at an open house, especially if it is empty and the owner has already moved out. Moving is an anxious time for everyone, and your kids are no exception. They often do not want to leave their school, friends and extra-curricular activities among other things. Give your kids a positive picture of their new community. Make sure your real estate agent is willing to stop at schools, parks, churches, sports facilities — even the mall if needed. Another option is to plan family trips to your new community to let your kids see themselves in their new surroundings. A great way to make your kids feel like a valued part of the decision-making process is to let them search the internet home listings with you. Reduce their frustration by asking them for their feedback on homes. Get their input about what is important to them in a new home and community. If you’re taking your kids with you to viewings, give them tasks to keep them focused on what lies ahead. For example, your kids may enjoy taking pictures of the homes you view or keeping a detailed checklist of the best features each home offers. Older kids may enjoy doing internet research about the town, landmarks, population and their best schools. Strong|Edge Realty is a great resource for real estate information. The objective here is to give your children opportunities to focus on the future and feel connected to the process as well. Most kids get excited when they view a new home. But even the most enthusiastic child can have a hard time with a full day of home viewings. To that end, it’s usually a good idea to limit yourself to a few viewings per day. If you need to see more homes, consider taking a break at some point to let your child eat or play. We don’t recommend giving your children your smartphone or tablet during a viewing unless they are using educational apps to learn new skills. Children do not have the same attention span as adults. The more mindful you are of their needs, the more likely they will be easy to accommodate while you are viewing homes. Your children are unique and you may think of more items for your family’s home buying checklist. Buying a home and dealing with children may be challenging, but it’s not impossible. Consider their feelings, keep them involved in the process and give them opportunities to see themselves in their new home and community. If you found this article helpful, please check out more content with helpful housekeeping information.